Get the reliable performance you need for your critical medical devices. High capacity, low self-discharge for longer service life. Longer lasting to increase productivity. 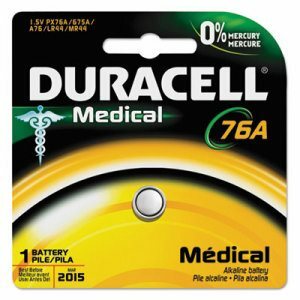 Battery Type: Alkaline; Battery Size: 76A; For Use With: Calculators; Home Medical Devices; Voltage: 1.5 V.